Originally released on vinyl R&S in 1994, ‘Meditation Will Manifest’ was re-earthed in 2016 by Nina Kraviz and Ricardo Villalobos, apparently becoming a secret weapon on dancefloors 22 years after its original release. Tomorrow, the track gets its first digital release on R&S. 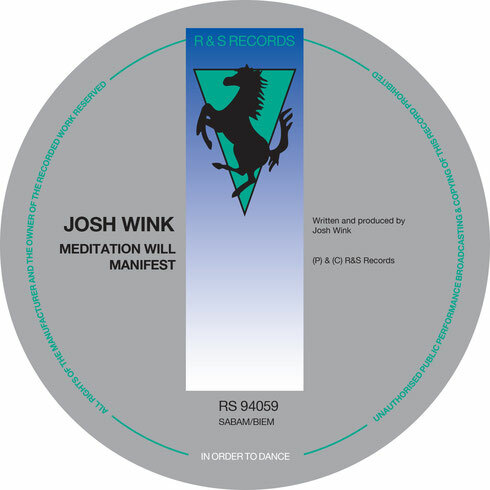 Josh always aims to be ahead of musical trends and attempts to walk his own path in dance music and from a young age, he was exposed to different mysticism and consciousness philosophies. Josh Wink: “It is exciting to see that a track that I made over 20 years ago is touching so many people once again. With DJs like Nina and Ricardo playing it recently, people have been wondering what it was… It makes me happy that the track still sounds relevant and still does its damage on the dance floor. We got in touch with the guys at R&S and decided to remaster the original and release it, as it has never been released digitally. Luckily I was able to my find the original DAT in the studio and we were able to make this happen."